There has been pushback on David Leonhardt’s message that going to college is “clearly” a smart economic choice. Matthew Yglesias is critical of Leonhardt’s conclusion. … I don’t see how this kind of data can possibly support the wide-ranging conclusions Leonhardt draws about whether or not college is “worth it.” After all, this isn’t the outcome of a randomized trial. Maybe everyone should buy a BMW. Suppose I got someone to make a chart showing the incomes of prime-age BMW drivers versus average Americans. It would reveal a large BMW earnings premium. 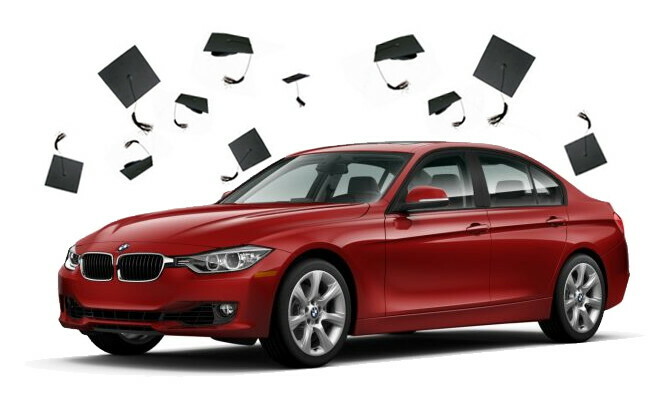 I could even produce a chart showing that the children of BMW drivers grow up to earn more than the average American. But that wouldn’t be evidence that BMWs cause high wages, and that the BMW Earnings Premiums extends across multiple generations. It would be evidence that high-income people buy expensive cars and that there’s intergenerational transmission of socioeconomic status. To understand whether college is “worth it” — or, more precisely, which colleges are worth it to which students — we would need some much more fine-grained data. How do college graduates fare in the labor market compared to people who were otherwise similar at age 18 in terms of SAT scores, non-cognitive skills, parental socioeconomic status, etc? Yglesias sees a need for better apples-to-apples comparisons. Ben Casselman points out that you have to graduate to reap the benefits of going to college. But just because people who graduate from college are better off doesn’t necessarily mean that going to college is a good decision. Most of the benefits of college come from graduating, not enrolling. Indeed, as Leonhardt pointed out, the wage premium for people with some college but no degree has been stagnant, even as debt levels have been rising. That means that people who start college but drop out may be worse off than people who never enrolled in the first place. Any attempt to answer the “Is college worth it?” question, therefore, has to grapple with not only the value of a degree, but the likelihood of obtaining one. For many students, the odds aren’t good. Less than 60 percent of full-time students who are enrolled in college for the first time graduate within six years. Part-time students have an even lower completion rate, as do racial minorities and older and low-income students. For some groups, the six-year graduation rate is well under 20 percent. The vast majority of Americans from advantaged backgrounds enroll in college, so the students struggling with the “Should I or shouldn’t I?” question are disproportionately members of groups with low graduation rates. Marginal students in particular may not find that going to college is clearly a superior choice, according to the Center for Economic and Policy Research. Leonhardt’s analysis ignores the dispersion in pay among college grads, especially among men. Research by my colleague John Schmitt and Heather Boushey shows that near one in five recent male college grads earned less than the average high school grad. This implies that going to college implies substantial risks, especially since attending college is likely to lead to substantial debt. There is also a risk that a student will not complete college, which is especially likely for the marginal college student (a person at the edge of deciding whether to try college or not). It is also likely that the marginal college student faces a much higher risk of being in this bottom fifth than the typical college student. In short, a little deeper analysis indicates that the decision of many people, especially young men, not to attend college could seem very rational. Bryan Caplan reminds us that the college premium must be deconstructed to determine its value for a particular individual who plans to pursue a particular field of study. Matthew Yglesias, “College graduates earn more, but that doesn’t prove college is worth it”, Vox, May 27, 2014. Ben Casselman, “Is College Worth It? It Depends on Whether You Graduate”, FiveThirtyEight, May 27, 2014.